"A guy walks into a conference room with a USB pen..." may - in theory - be the worst set up to a joke of all time. Scratch that, it is the worst set up for a joke of all time. However, today that set up provided the footballing world with one of the funniest and most entertaining moments of the season so far. As ​Leeds United manager (the aforementioned 'guy') walked into a conference room (which was filled with journalists perched upon an illogical moral high ground), with a USB pen, and told the world: yes, yes he had in fact spied on the training sessions of EVERY SINGLE Championship team Leeds United have played so far this season. "I observed all the rivals we played against and watched the training sessions of all opponents." "All the information I need to clarify, I gather it without watching the training session of the opponent, so why did I send someone to watch them? Just because I thought I wasn't violating the norm. I gathered information that I can obtain in another way. "We feel guilty if we don't work enough. It [watching the opponents train] allows us to have less anxiety and in my case I am stupid enough to allow this kind of behaviour." “I feel ashamed to have to tell you all this. Let’s talk about the analysis that Derby played this season. They played 31 games. In 49% they used a 4-3-3 system with a number eight on the right. In 22% a 4-3-3 but with the number eight on the left. "What I have done is not illegal. We can discuss it, it's not seen as a good thing, but it's not a violation of the law. I know that not everything that is legal is right to do." 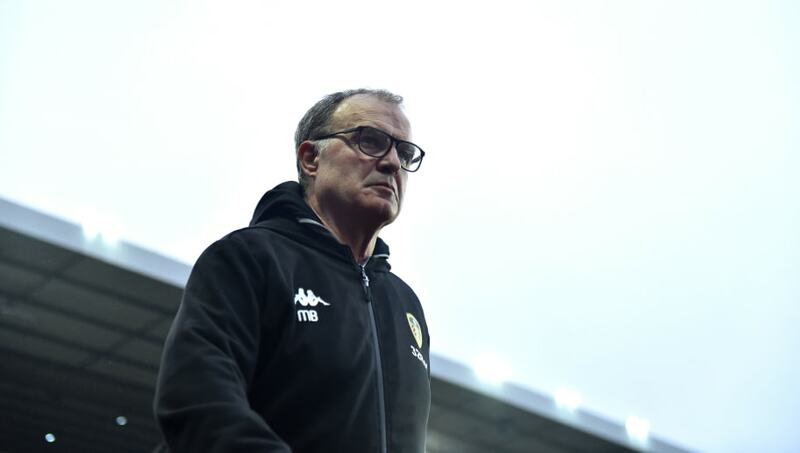 And despite the need for a myriad of pundits and journalists alike, in a search of any semblance of relevancy, insisting that 'spying' on an opponent is morally wrong; Bielsa is right. It may not have been the 'right' thing to do, but it is just football. It is just a form of entertainment. To many who are unable to afford the excessive price of a 'matchday experience', football is just a tv show. So Henry Winter, Jermaine Jenas et. al: wind your necks in. Pease try to understand that football is a form of entertainment, and 'spygate' has - by and large - added to its entertainment over the past week.